Researchers have shown that a wearable patch that delivers small amounts of peanut protein through the skin has yielded promising results for treating children and young adults with peanut allergy, with greater benefits for younger children, according to one-year results from an ongoing clinical trial, published online on October 26 in the Journal of Allergy and Clinical Immunology. 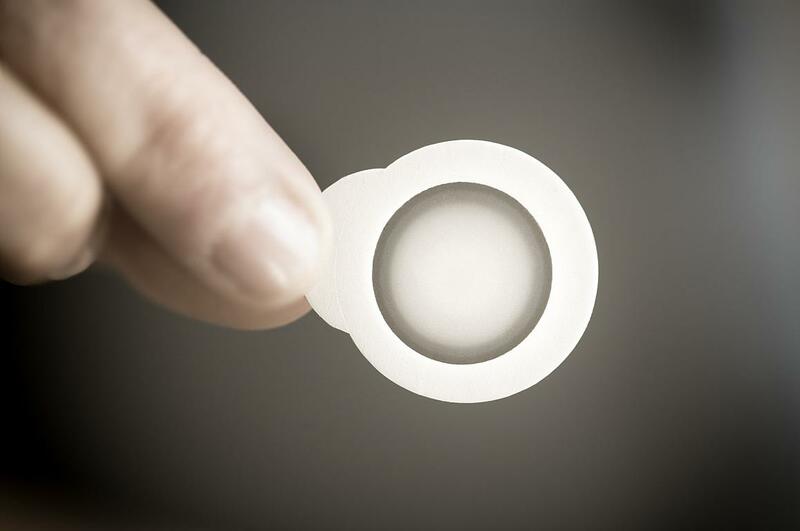 The treatment, called epicutaneous immunotherapy or EPIT, was found to be safe and well-tolerated, and nearly all participants used the skin patch daily as directed. The ongoing trial is sponsored by the National Institute of Allergy and Infectious Diseases (NIAID), part of the National Institutes of Health, and conducted by the NIAID-funded Consortium of Food Allergy Research (CoFAR), which is led by Hugh Sampson, MD, of Icahn School of Medicine at Mount Sinai in New York. Stacie Jones, MD, of the University of Arkansas for Medical Sciences and Arkansas Children’s Hospital, chairs the study. CoFAR researchers at five study sites randomly assigned 74 peanut-allergic volunteers aged 4 to 25 years to treatment with either a high-dose (250 micrograms peanut protein), low-dose (100 micrograms peanut protein), or placebo patch. The investigators assessed peanut allergy at the beginning of the study with a supervised, oral food challenge with peanut-containing food. The patches were developed and provided by the biopharmaceutical company DBV Technologies under the trade name Viaskin. Each day, study participants applied a new patch to their arm or between their shoulder blades. After one year, researchers assessed each participant’s ability to consume at least 10 times more peanut protein than he or she was able to consume before starting EPIT. The low-dose and high-dose regimens were found to offer similar benefits, with 46% of the low-dose group and 48% of the high-dose group achieving treatment success, compared with 12% of the placebo group. In addition, the peanut patches induced immune responses similar to those seen with other investigational forms of immunotherapy for food allergy. Investigators observed greater treatment effects among children aged 4 to 11 years, with significantly less effect in participants aged 12 years and older. Additional studies in larger groups of children are needed before the therapy could be approved for wider use. The CoFAR study continues to assess the long-term safety and effectiveness of peanut EPIT. After the first year, all participants began receiving high-dose daily patches, and they will continue in the study for a total of two and a half years of EPIT. The work was funded by NIAID, NIH, under award numbers U19AI066738 and U01AI066560. Additional support was provided by NIH’s National Center for Advancing Translational Sciences. The ClinicalTrials.gov identifier for the study Epicutaneous Immunotherapy for Peanut Allergy (CoFAR6) is NCT01904604. The CoFAR clinical sites involved in the trial are Arkansas Children's Hospital in Little Rock, National Jewish Health in Denver, The Johns Hopkins University in Baltimore, Icahn School of Medicine at Mount Sinai in New York and the University of North Carolina at Chapel Hill School of Medicine.